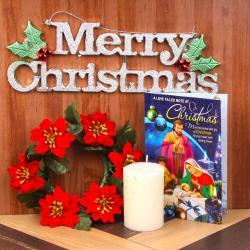 Product Consist : Floral Wreath along with Merry Christmas Banner and Candle. 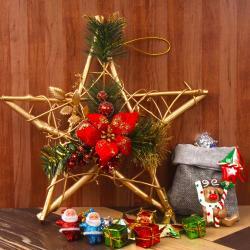 Christmas is the festival of togetherness and sharing happiness. So, when friends and family members come at your place you have to get ready to welcome them with lovely decorated home. This Hamper really useful for you which includes the Floral Wreath which comes with red color rosette and green leaves surely give extra traditional look to your door or entrance gate. 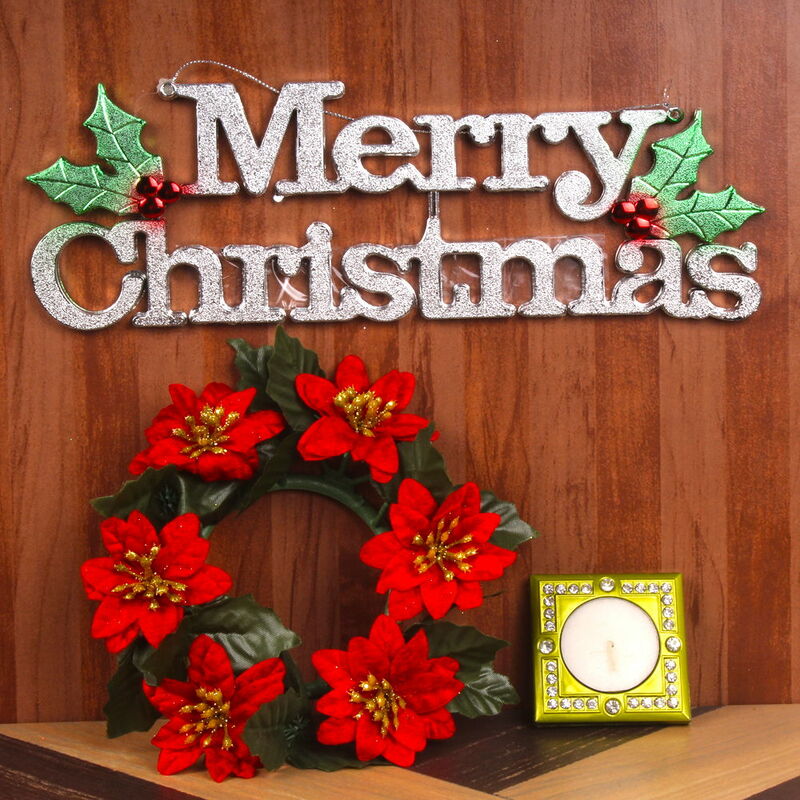 Also includes the banner which made out of plastic in attractive color with wording ' Merry Christmas' and red cherry leaves design on it. This Banner comes with chain for easy to hanging on door or wall as per your requirement. 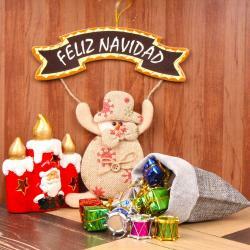 Special aromatic candle for complete your Christmas door decoration. 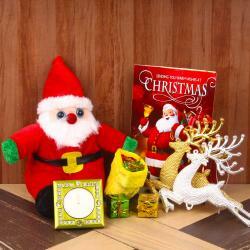 Product Consists: Floral Wreath along with Merry Christmas Banner and Candle.